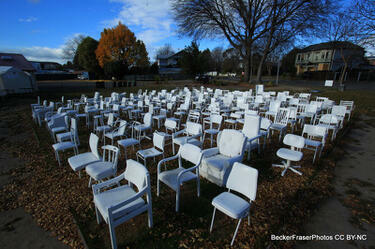 Showing 1 - 20 of 400 results. 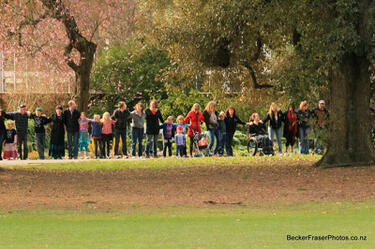 Photograph captioned by BeckerFraserPhotos, "The Big Hug in action". 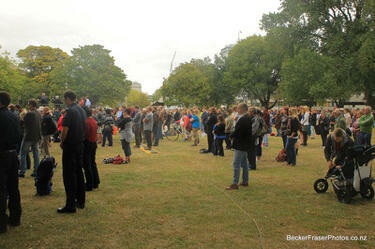 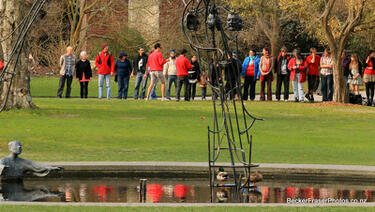 Photograph captioned by BeckerFraserPhotos, "Organising the crowd for The Big Hug". 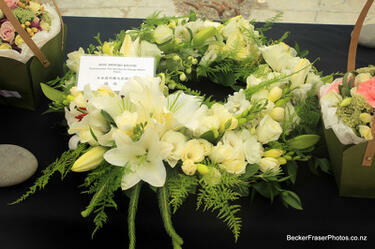 A wreath of flowers from the Honorary Minoru Kiuchi, Parliamentary Vice-Minister for Foreign Affairs in Japan, laid at the CTV building site on the memorial of the 22 February 2011 earthquake. 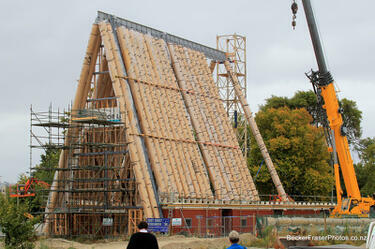 Construction has begun on the "cardboard cathedral" in Latimer Square. 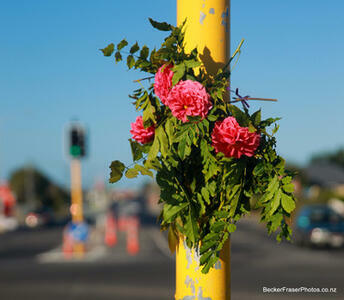 Flowers attached to a traffic light pole mark the anniversary of the 22 February 2011 earthquake. 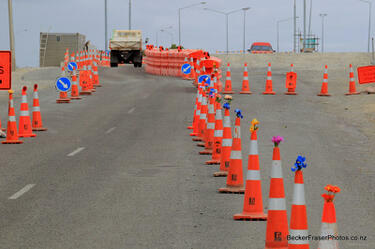 Flowers decorate road cones along Bridge Street on the anniversary of the 22 February 2011 earthquake. 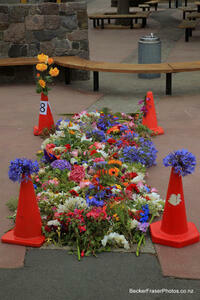 Flowers laid on the ground at Mt Pleasant School for the memorial of the 22 February 2011 earthquake. 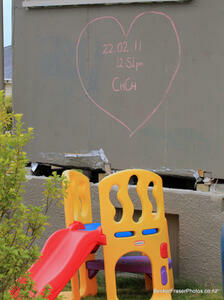 A heart has been drawn in chalk on the wall of a residential property on Cannon Hill Crescent, Mt Pleasant. 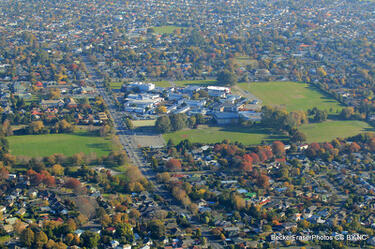 The time and date of the 22 February 2011 earthquake have been written inside. 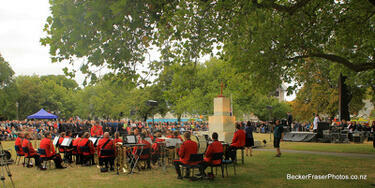 A memorial service is held in Latimer Square on the anniversary of the 22 February 2011 earthquake. 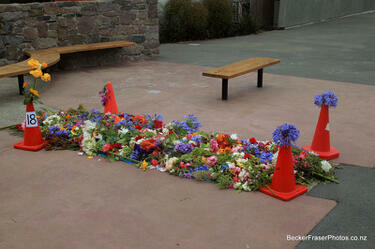 Flowers are laid at the temporary memorial. 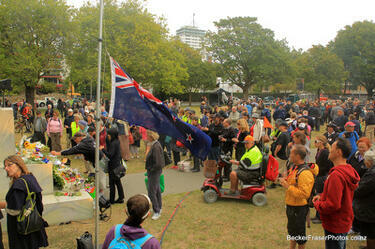 A memorial service is held in Latimer Square on the anniversary of the 22 February 2011 earthquake. 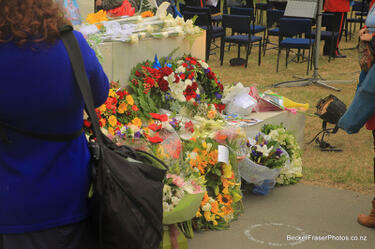 Flowers and photos are left at the steps of the temporary memorial. 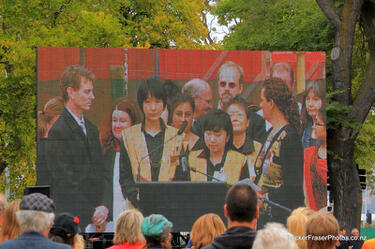 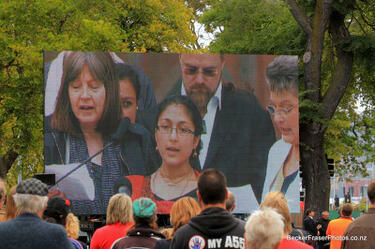 Speeches at the memorial service held in Latimer Square on the anniversary of the 22 February 2011 earthquake. 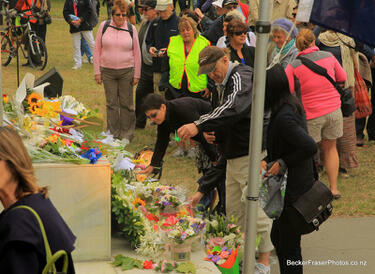 A memorial service is held in Latimer Square on the anniversary of the 22 February 2011 earthquake. 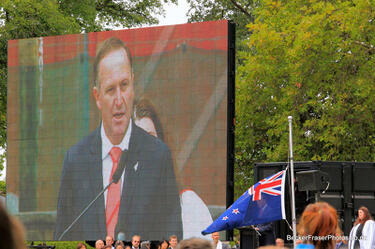 Prime Minister John Key gives a speech at the memorial service held in Latimer Square on the anniversary of the 22 February 2011 earthquake. 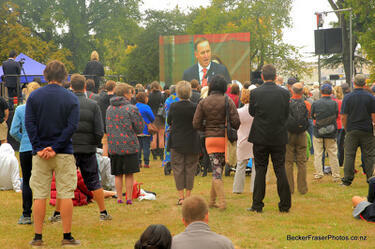 Crowds gather in front of a large screen to watch Prime Minister John Key give a speech at the memorial service held in Latimer Square on the anniversary of the 22 February 2011 earthquake.